We’d love your help. 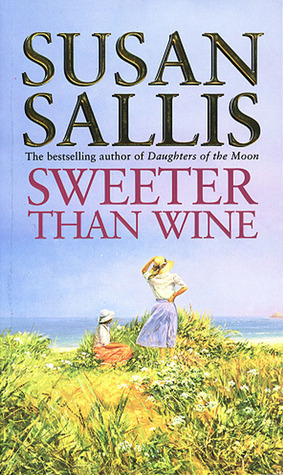 Let us know what’s wrong with this preview of Sweeter Than Wine by Susan Sallis. The quarrel began in 1850 on a West Indian sugar plantation, and the grudges still separated Bristol's two most important families—until the 1927 Michaelmas ball, when handsome rake Jack Martinez danced with spoiled, precocious Maude Rudolph. To ask other readers questions about Sweeter Than Wine, please sign up. Story of a wine-making family with interludes in Jamaica and Bristol. However the strongest part is the Spanish Civil War. We see the origins of this war in feudal serfdom with rich overlords, and foreign landowners such as wine makers are resented. The British get caught up in the war and try to render medical aid to the wounded. The bombing of Guernica is graphically described as Fascist leaders invited Germany to destroy a town in order to force the Communists to stop fighting. The British re Story of a wine-making family with interludes in Jamaica and Bristol. The bombing of Guernica is graphically described as Fascist leaders invited Germany to destroy a town in order to force the Communists to stop fighting. The British realise that the Nazi Germans are getting ready to try out blitzing on Britain next.